To celebrate Christmas, we have teamed up with the five-star Lough Erne Resort in County Fermanagh, awarded 'Hotel of the Year' to offer a daily prize of a £50 Christmas Gift Voucher! One overall winner will win a grand prize of a Luxury Stay for Two in The Nick Faldo Suite with Dinner in The Catalina Restaurant, use of the Infinity Pool at The Thai Spa and a £100 Lough Erne Resort Christmas Gift Voucher. 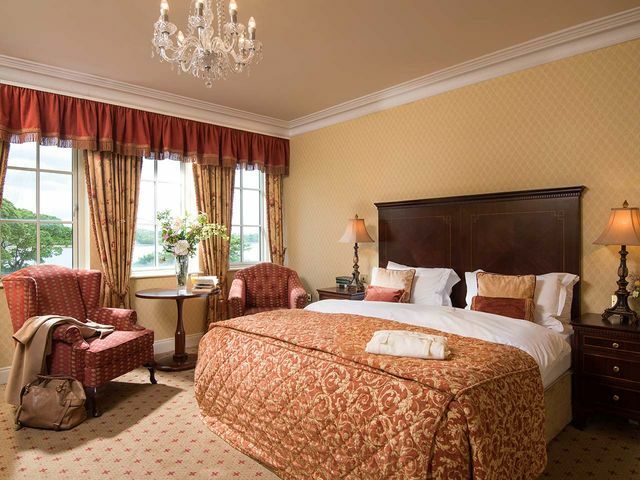 Discover the range of secret gift voucher offers at lougherneresort.com. For your chance to win, enter your details below and listen to The Home Run each day this week from 4-7pm to find out who the lucky winners are. Guests can enjoy a unique Thai inspired experience from the luxury treatment menu using award-winning ESPA products. The Thermal Suite and Infinity pool at The Thai Spa is complimentary for hotel guests.